Coral and turquoise is a match made in color heaven! 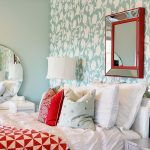 I love how Toronto interior stylist Sarah Gunn paired the fun combo with a sophisticated grey in this fabulous bedroom! 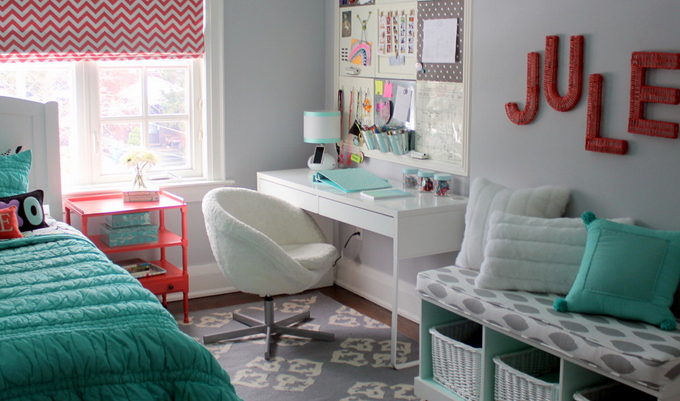 Tons of storage all over the place, a cute desk for homework, and a place for friends to hang out make this a perfect teen space. 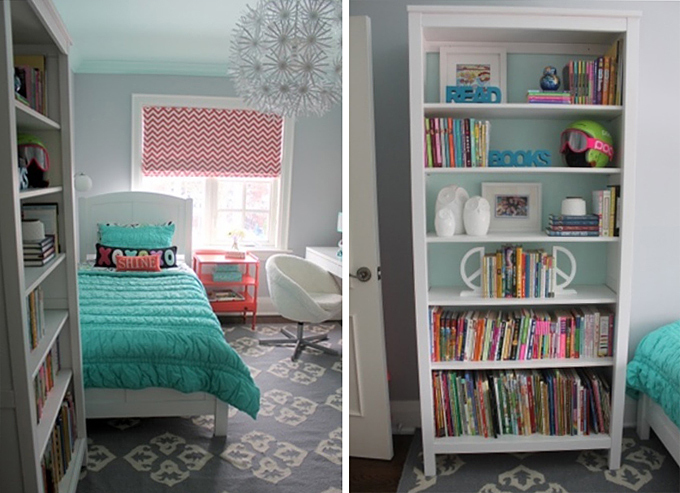 I’m loving the fresh mix of patterns going on and how she used paint to customize the furniture! Read all about the room and see before pics right on over here! Love the color combos in this adorable room. Nice but where is the closet? I love this! 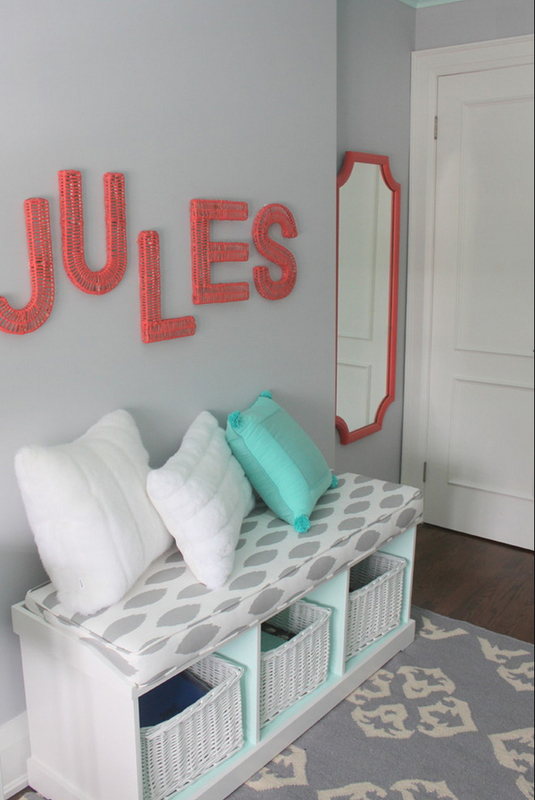 When we have a little girl, this is the exact color combination we will be using! love this space – the combination of colors is so pretty and works really well all together. I adore Sarah- she's so talented and I love how her combination of coral and turquoise in this space- so so pretty. Beautiful! I've loved red and robin's egg blue combinations for years, but love this variation with the coral. Anyone know where the bench came from? Need something like this in my front hall to organize all the stuff the kids drag around. where did you get the bench with the cubbies? love everything about this room. 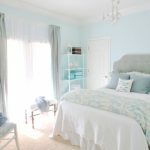 Love the room… doing my room just like this <3 need to know where the nightstand is from or ahhhhh! Loooooove the room! Where did you get the desk lamp? OMG!!! I love the room its really Beautiful!!!!! If i may ask where is the reddish side table from?? Where did the actual bed come from?